TARIFA is a small town in the Andalusia region of Spain. The town is the southernmost point of Europe, so even though I visited in early March, it was a very pleasant 18 degrees. 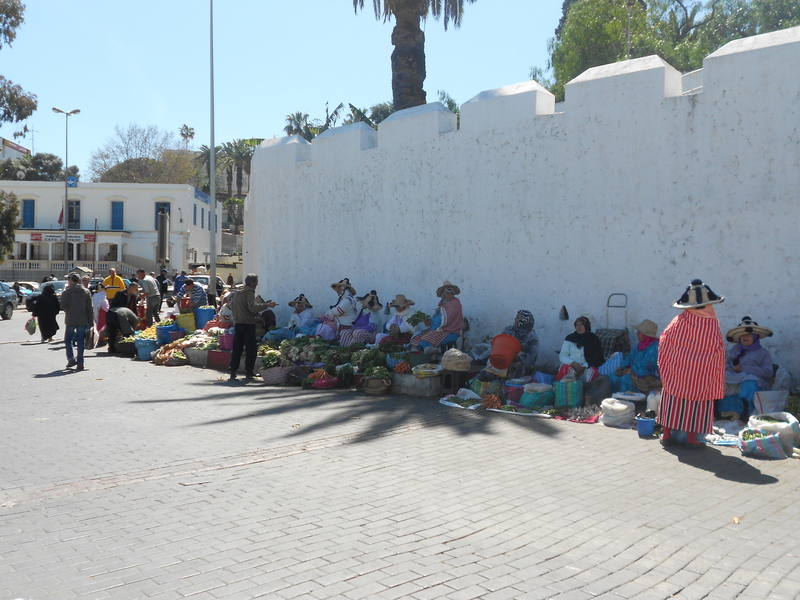 It’s a quiet, relaxed place, full of whitewashed buildings, friendly locals and is very affordable for those on a budget. Tarifa’s located about 40 minutes away from the nearest airport, Gibraltar (worth flying into just to see the famous Rock, and served with cheap flights by EasyJet). For those who love low key beach holidays, especially without hundreds of sunburnt ravers, Tarifa is definitely a good option. I went to Tarifa with my university’s riding club, so riding was always going to be on the menu. 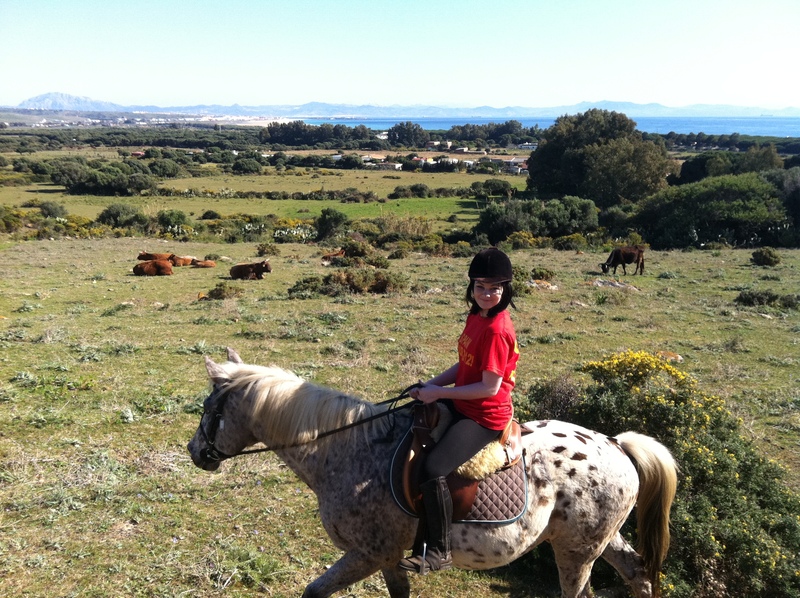 There are several stables which for about €50 (£42) will rent you out horses (and riding equipment if you don’t have any) and take you on a two hour ride through Tarifa’s beautiful countryside and along its miles of wide, sandy, empty beaches. 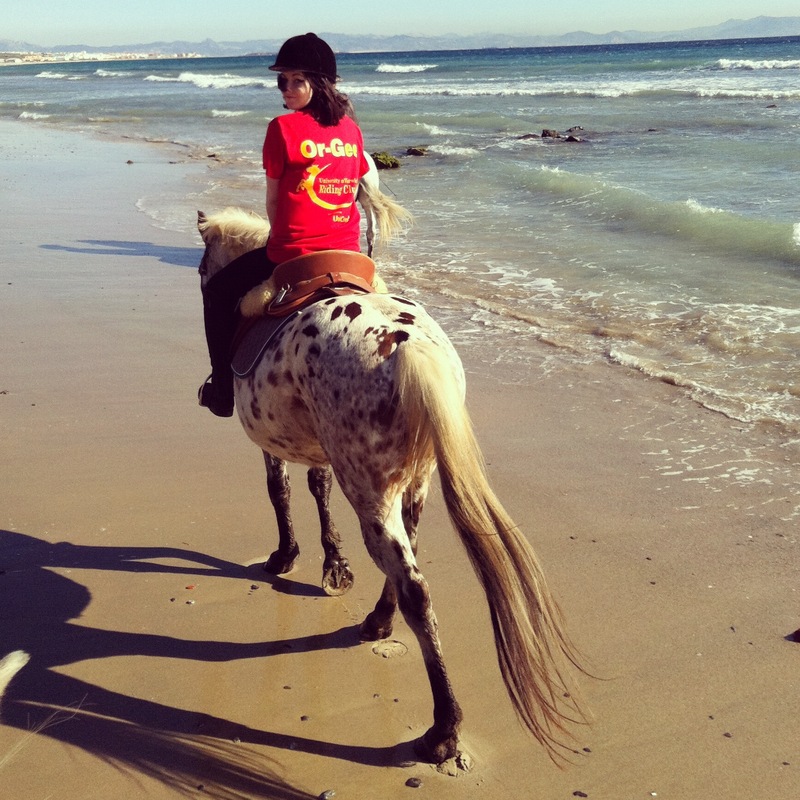 Depending on your level of skill, you can either take a gentle amble or you can fly down the beach at a full gallop. It doesn’t matter if the closest you’ve been to riding a horse is a one minute twirl on an ancient donkey, book a ride, you won’t forget it in a hurry. Tip: Don’t forget suncream, and try to wear a top that covers your shoulders to prevent you burning. 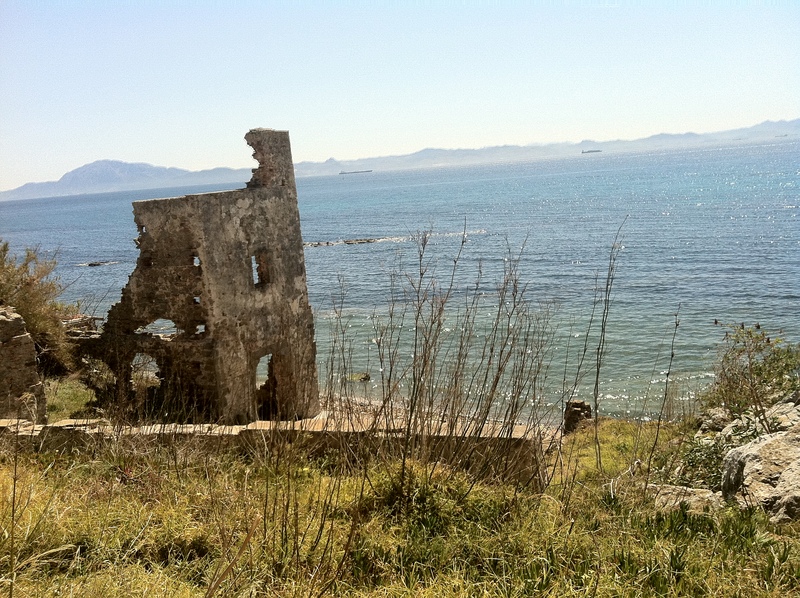 Ruins are just sitting there on the beachfront, and you can walk right into them. They’re pretty stunning. Just be careful as they’re quite old and a tad crumbly. Around 20km out of town are a bunch of impressive Roman ruins. I didn’t have time to check them out, but if you’re in Tarifa for more than a few days, I’ve heard they’re worth visiting. 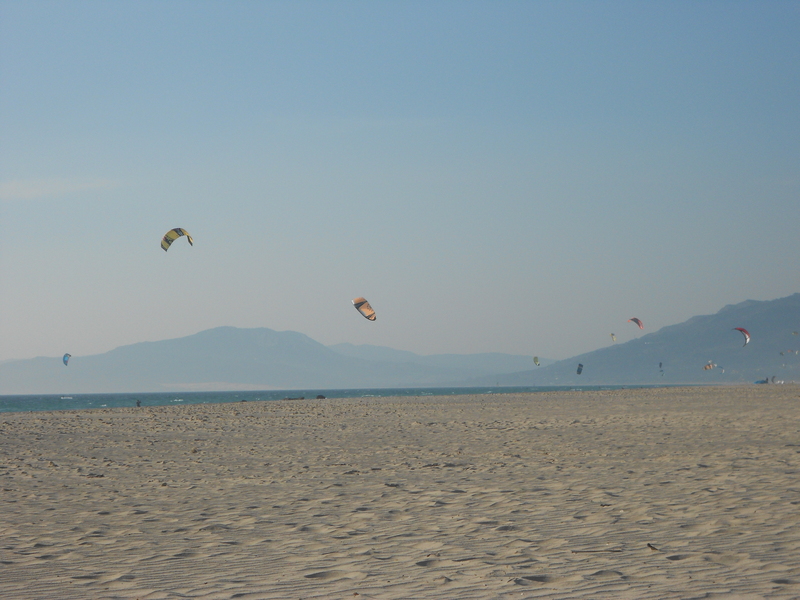 Tarifa is famous for being one of the windiest towns in Spain. While this might be a bit of a pain for those who want to settle down with a book and catch some sun, it does attract hundreds of kitesurfers and windsurfers. If you head down the Los Lances beach you’ll notice people flying kites, it’s pretty fun to just kick back and watch the brightly coloured shapes whizz around against the backdrop of a stunning view of the African coast. During the summer months competitions take place, so prepare for Tarifa to be substantially busier (and more expensive) as people come from across Europe to take part. The town is pretty compact, and very easy to navigate. There’s no danger of getting lost. There are lots of beautiful and old sights to see, including an 800 year old castle, ancient gates and pretty little orange trees, which are great for hiding under to escape the sun. At night the bars open, and the locals hit the cafes and tapas bars. Do the same, food is cheap and tasty. 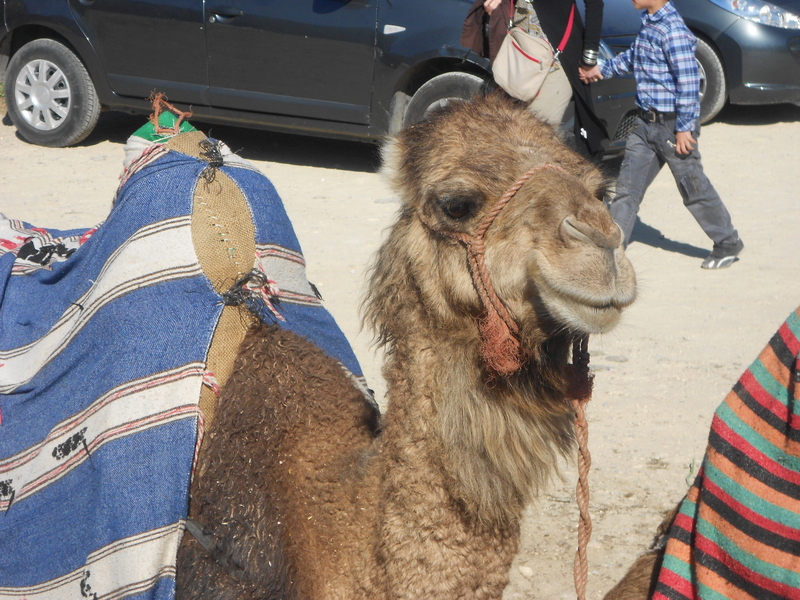 Tarifa is a mere 14km away from Tangiers, Morocco. The crossing is quick, averaging around 45 minutes, and cheap. Ferries leave from the port in town very frequently. The chance to switch continents in less than an hour wasn’t something I was going to turn down. I plan to write about Tangiers in another post, so I’m afraid I won’t be talking about it here, but if you’re in Tarifa for more than a couple of days it’s definitely worth thinking about. Whale watching. 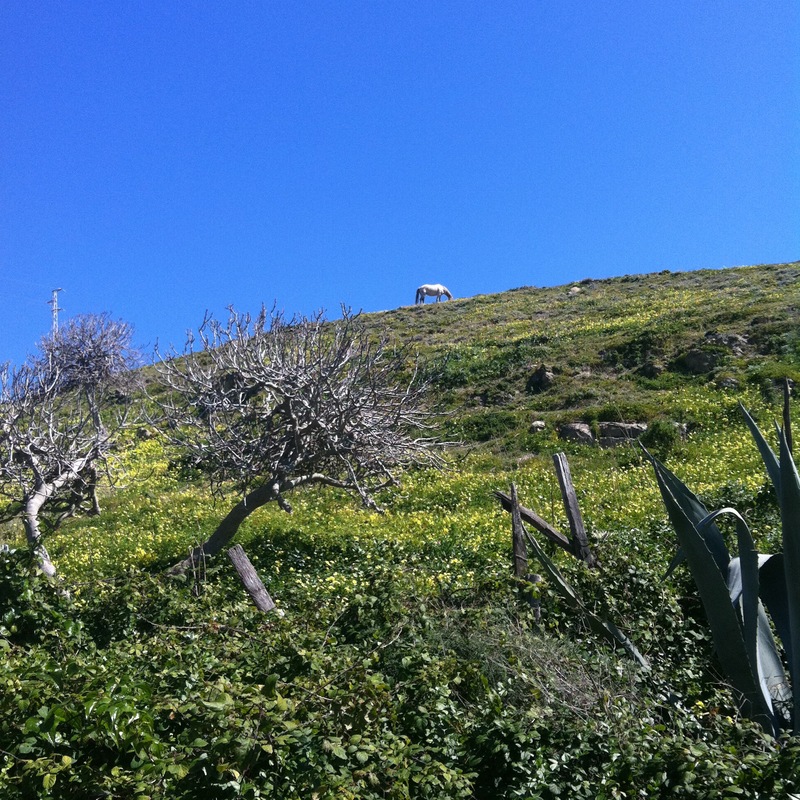 I chose to nip over to Tangiers rather than go whale watching, but some of my friends chose to take a boat out to sea. They saw dolphins and Pilot whales. At certain times of year Killer and Sperm whales also migrate through. 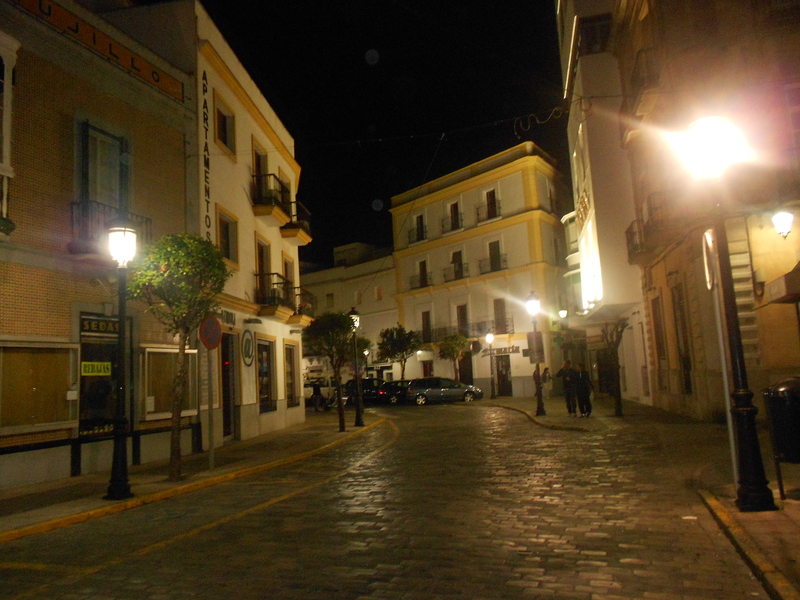 Tapas: I forgot to take any pictures of the many tapas restaurants which fill Tarifa’s streets. The food is incredible, wild boar, venison and lots of other mouthwateringly good options for seriously cheap prices. Melting Pot Hostel: I stayed at the Melting Pot hostel, which was run by the funniest man ever, Ouday. We were given free sangria on arrival and he took us out for a night out on the town (which was pretty hilarious as we were the only foreigners there, still the elderly locals seemed to enjoy having some company!) Highly recommended, and just 5 minutes from the beach. Tags: Europe, Spain, Tarifa. Bookmark the permalink. Hey there! I’ve been following your site for some time now and finally got the bravery to go ahead and give you a shout out from Atascocita Texas! Just wanted to mention keep up the good work!